We expect doctors to give us the absolute best care. But, are they? 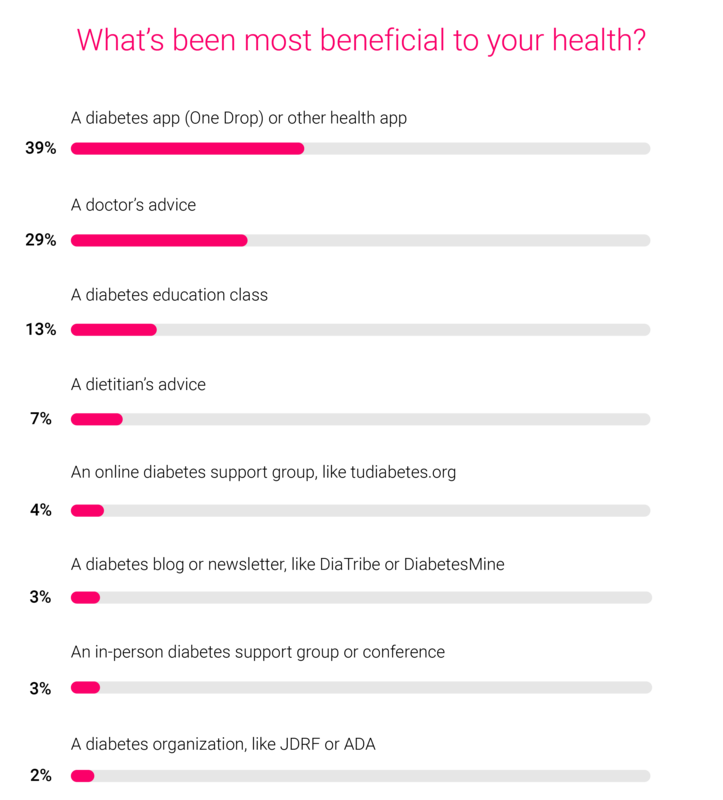 In a recent poll, One Drop users (29%) said a doctor's advice has been the most beneficial to their health. This was rated second to the helpfulness of One Drop or another health app (39%). Kudos to mobile health! [caption id="attachment_14373" align="alignnone" width="2500"] Based on 349 votes from the One Drop Community. (Based on a combination of One Drop user activity, expected participation in the polls, a confidence level of 95% and a 5% margin of error, the recommended sample size is 323 to have statistical power to say something meaningful. With data on 349 users, we've exceeded that. )[/caption] My family gets their care at an academic medical center. My former co-workers are our doctors. These doctors know me. They know I'm educated. They use a lot of medical jargon and explain stuff in detail. I can't help but wonder if the next patient is getting the same level of care, or if that care is delivered in the same way. Although people are living longer, certain groups continue to have worse health than others. In diabetes, I've studied and found that, compared to Whites with diabetes, non-Whites with diabetes are much less likely to be prescribed antidepressants if they're depressed, take their medications, and/or have more diabetes-related complications, among other things... Doctors' biases about certain types of patients can lead to disparities in care, treatment, and ultimately: health. A 2016 survey of U.S. physicians found that 2 out of 5 judge their patients. Doctors of all specialties report judging, but more emergency room (ER) doctors admit to doing this than other types of doctors. Such judgments affect the quality and type of care doctors give. For example, in one study, ER doctors were less likely to give Black patients pain medication compared to White patients with the same symptoms. An estimated 31% of diabetes specialists and endocrinologists admit to judging their patients. Doctors who fall into the trap of treating “that fat guy with diabetes” instead of “the guy with diabetes who happens to be overweight” are probably not giving the best care. "How am I doing compared to my last visit?" "Do you need to change my medications?" Ask around. Talk to people like you about their experiences. If you're Black or Hispanic, find a doctor with a track record of working well with diverse patients. If you're overweight or obese, ask friends, family or co-workers with similar body types how their doctors treat them. Speak up. Before ditching your doctor, consider talking to him or her about what made you uncomfortable. It's empowering to clear the air and establish how you'd like to be treated. It also helps doctors be more self-aware, so they don't treat others that way. Listen to your gut. If you feel like your doctor's judging you, get a second opinion. If it continues, find another doctor. And interview your doctors before committing to them. The very best doctors don't care about the 'what' or 'who' of each patient. Withholding judgement is an art. It's not natural our easy for doctors to do, or anyone for that fact. Doctors have a ongoing challenge and opportunity to improve, not just in the type of care they give, but in the art of how its given. Everyone deserves the best care. You do too!